I recently visited the Rijksmuseum during a trip to Amsterdam, and had the pleasure to experience the “Art is Therapy” exhibition, a kind of “meta” exhibition wherein the curators created large, printed post-it notes with commentary on works of art meant to show how the works could change the viewer, could incite positive change and a kind of spiritual healing. 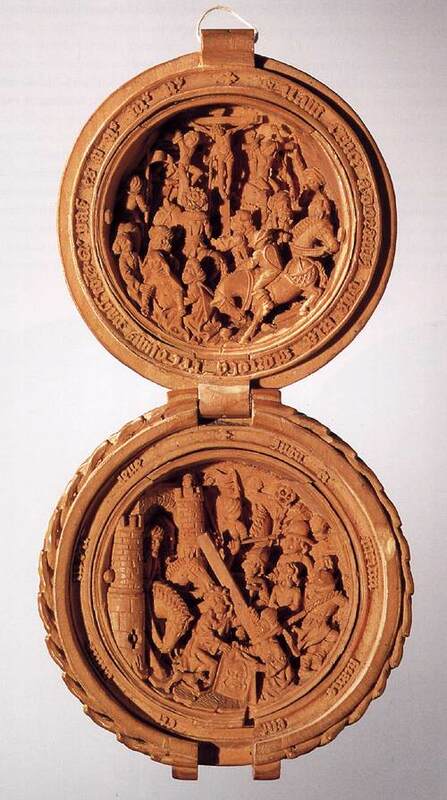 “The prayer nut is an aid to the interior life. It is specifically designed to provoke an inner state. There are lots of things we care about in theory, but forget about in practice. Religions understand this– and design all sorts of tools (from cathedrals to possibly the smallest of all prompts: the prayer nut) to help us keep important ideas closer to the front of our minds. Religion can be seen as a giant memory-prompting machine, always trying to get us back on track. 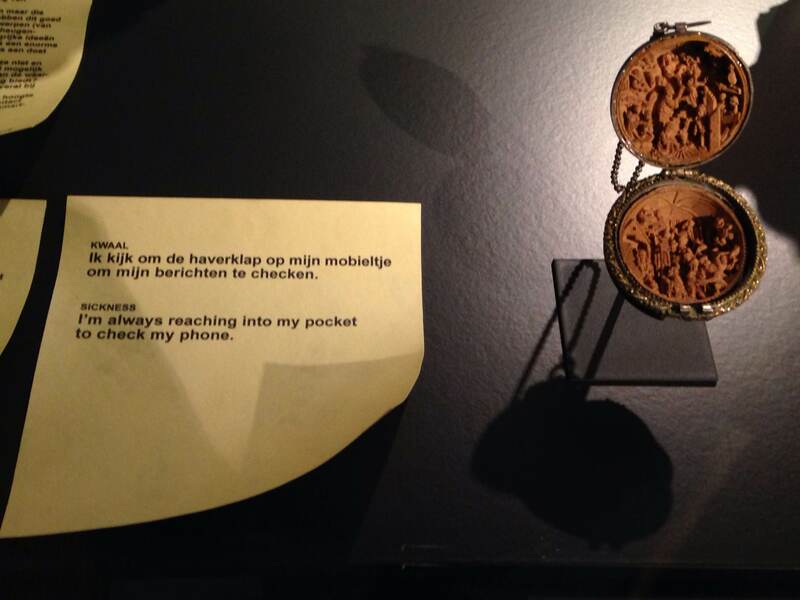 Notably, the museum’s accompanying text notes that the owner of this nut would also have been very likely to enjoy showing off such a fine work of art as this intricate prayer nut…which cannot help but make me think of the ostentatious pleasure of displaying one’s iPhone. That said, I think that it is a very good point that unlike the prayer nut, the phone is pulling us towards the “urgent”, not the important. How could we design our machines to put us in a more reflective mode? To keep us more connected with the bigger ideas, the more meaningful narratives that drive our life rather than the vagaries of the current moment? How could a machine push us towards LESS use, less need, less addictive, self-centered, and impulsive activity? Towards mindfulness? How could we respond creatively to the frailties of humanity? How could we alter our technologies to make us better people, or at least to mediate the bad habits and negative side effects that new technologies seem to give rise to? Wow. You’ve given me a different perspective on religion that my mind will be contemplating all day. I will need to come back and reread this blog entry to get the full significance of the points you addressed. Thanks.